If you are looking to replace your desktop, then a powerful 17-inch laptop may interest you. 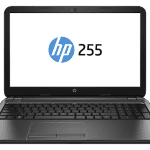 HP Pavilion G7 series offers you efficient day-to-day computing, light entertainment and the HP durability at a reasonable price range, plus offers a large 17.3-inch display. The 17.3 inch HP Pavilion G7 notebook comes in glossy finish with a fairly firm plastic shell. HP Pavilion G7 weighs about 2.9kg making it quite portable, but is a bit fat with about 32.8 mm thickness. The HD widescreen gives you a standard 1600 x 900 pixels resolution with LED backlight. The keyboard is standard with a fairly big and smooth touchpad. The speakers are notable though. 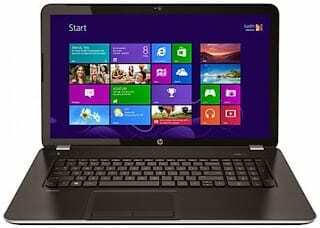 HP Pavilion G7 are available with Windows 8.1 and below. Depending on the price you are ready to pay, you can pick between an average performing AMD A-Series A6-3400M / A6-4400M, AMD Athlon II P360 or the higher Intel Core i3 2330M /380M or Intel Core i5 2410M / i5 3210M / 480M processor. Ditto for your graphics adapter, HP Pavilion G7 offers AMD Radeon HD series, ATI Radeon HD 4250, Intel Graphics Media Accelerator (GMA) HD Graphics, or Intel HD Graphics 3000. The hard drive options ranges from 500GB to 1TB SATA drives. 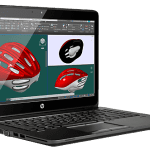 HP Pavilion G7 laptops offers 4GB or 8 GB of RAM. The memory slot is easily accessible to the user. You also get an 8x DVD Super-Multi drive, three USB ports, HD webcam with integrated microphone, digital media card reader and other standard fare ports. The battery life is standard, though you may find better performing notebooks. All considered, HP Pavilion G7 is well-equipped with all the essentials you need in a PC, given the price and the intended use. 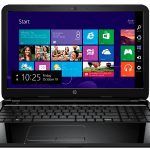 HP Pavilion G7 affordable laptops are available in Nigeria. HP Pavilion G7 price in Nigeria starts at around N85,500, depending on your location and the configuration of the laptop.